Making other people recognise your value is secondary only to being able to see it and believe it for yourself. By thinking through your value at work – if you do it honestly and take the time to find the examples – it will give you confidence and underline just how valuable you are to any organisation. The key to keeping a job, being paid more for doing it or demanding a new position is a differentiation between you and other people, and the confidence you will do a great job, not merely a competent one. From an employer’s perspective, your work needs to add more value to the business than it costs to pay your wages or salary. In fact, once you have taken into account taxes, insurance, equipment and property, you need to be delivering value of at-least twice your basic pay. Some employers understand this better than others. Those who do typically invest more in effective recruitment, staff retention, training and development. 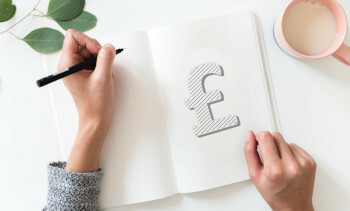 If you want to negotiate a pay-rise or justify a training programme – or if you are applying for a new job – you can make a tremendous impact by talking in terms of the value that the business is, or could be, gaining from your work. We aren’t suggesting you become a braggart of pursue a selfish agenda. But with this information you can put your case with the most effective form of quiet confidence. It is essential that you can substantiate your claims, so keep a note of your successes and progress. As ever in career planning, you need to be honest with yourself. But conversely, be aware of whether you are the kind of person who is inclined to play down their strengths and achievements and adjust accordingly. How helpful was this particular item? We act on all the feedback that you give us.